Founded by Maharaja Jai Singh II of Amer in 1726, Jaipur is the capital of Rajasthan and is a must-visit destination for every tourist. 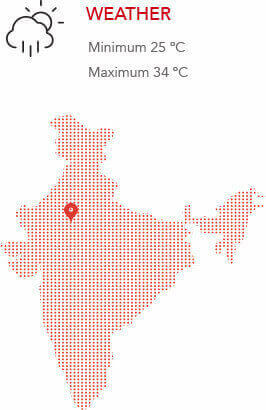 Due to the colour of the stone used exclusively in this walled city, Jaipur is called ‘Pink City’. Full of majestic palaces, amazing hill forts, and spectacular monuments, it is a delight for anyone who has an interest in history, architecture, arts, and culture. Jaipur’s world famous bazaars and festivals make it the perfect place to shop for embroidered leather shoes, blue pottery, tie and dye scarves, and other exotic wares. Surrounded by the Aravallis and the breathtaking desert, Jaipur is well connected to other Rajasthan cities like Udaipur, Jaisalmer and Jodhpur, as well as to New Delhi. 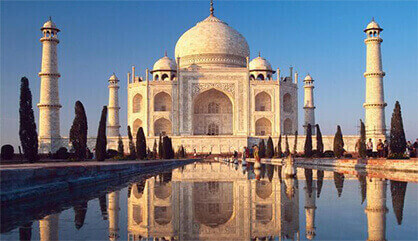 In fact, it is a part of the golden triangle of Delhi-Agra-Jaipur. Amer Fort: The Amer Fort, situated at about 11 kilometres from Jaipur, is one of the most famous forts of Rajasthan and was built in 1592 by Raja Man Singh. It was built in red sandstone and marble and the Maotha Lake, present in the complex, adds a certain charm to the entire Fort. Influenced by both Hindu and Muslim architecture, it boasts of various beautiful buildings of prominence like the 'Diwan-i-Aam', the 'Sheesh Mahal' and even the 'Sukh Mahal'. 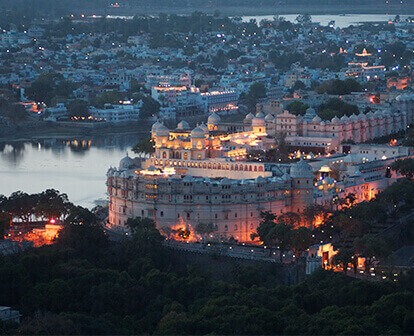 City Palace: Located in the heart of the city, the City Palace is where the Maharaja reigned from. Completed in 1732, this palace complex includes the famous 'Chandra Mahal', which is now a museum, 'Mubarak Mahal' and many courtyards and buildings. The architectural styles are largely based on a fusion of Rajput, Mughal, and European styles. Hawa Mahal: Also known as “The Palace of the Winds”, Hawa Mahal, is a prominent tourist attractions in Jaipur. This beautiful five-storeyed palace is built using red and pink sandstone and was completed in 1799 by Maharaja Sawai Pratap Singh, who belonged to Kachhwaha Rajput dynasty. Considered as an embodiment of Rajputana architecture, the main highlight of Hawa Mahal is its pyramid shape and its 953 windows or 'Jharokhas' that are decorated with intricate designs. Jaigarh Fort: Originally built to protect the Amer Fort and the palace within the complex, the Jaigarh Fort is architecturally similar to the Amer Fort and offers a panoramic view of the city of Jaipur. The fort houses the world's largest cannon on wheels, a majestic palace complex, and the assembly hall of the warriors known as 'Shubhat Niwas', along with a museum and an armoury. Apart from the intricate architecture of the fort, the fort was also renowned for a huge treasure that was believed to be buried under the fort. Jantar Mantar: Considered to be one of the largest observatories ever built, Jantar Mantar is a part of the series of five magnificent structures built in Jaipur, New Delhi, Ujjain, Varanasi, and Mathura. Jantar Mantar houses various architectural and astrological instruments that have caught the interests of astronomers, historians, and architects around the world. Located in Uttar Pradesh on the banks of the River Yamuna, the city of Agra is synonymous with 'Taj Mahal', one of the Seven Wonders of the World, and is renowned for its beauty and historical significance. 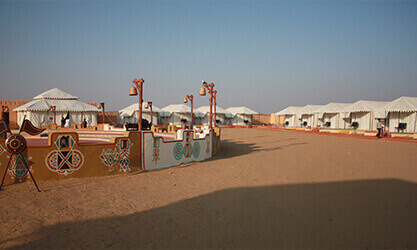 It is a place where the cultural practices of Rajasthani tribes are united in such a way that the visitors are given a peek into what makes up their culture. It is situated in a remote place and the grandeur and mysterious charm of the village art and culture are being reproduced to make the visitor enjoy them in tranquillity. Choki Dhani is designed to provide entertainment in all forms and has live shows like magic shows and camel rides. The merit of this program is the food they provide. The thali feature provided is based on traditional Rajasthani cuisine. 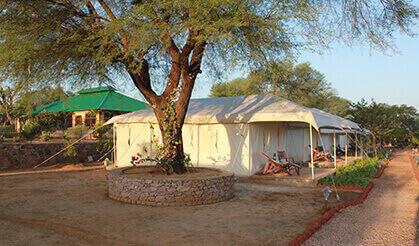 Sariska is a go-to destination for all types of travellers, be it family with kids or couples. Sariska Palace is located inside the Sariska National Tiger Reserve of Rajasthan and was built in 1902 to be the hunting lodge for the Maharaja of Alwar. This palace, which exhibits a mix of various architectural styles, has now been converted into a luxury hotel. Also known as the “Sun City”, Jodhpur was founded in 1459 and is the second largest city of Rajasthan. 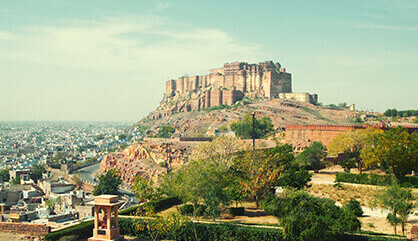 Being a very popular tourist destination, Jodhpur’s landscape is scenic and mesmerising. It has many beautiful palaces, forts, and gardens.